Walk into an English lesson in Wetherby and you never know what you could encounter: from a court room debate in Year 8 to a poetry recital in Year 5; from baking cakes and following instructions in Year 3 to typing up newspapers in Year 6. You may even find yourself creating poetry in Year 4 or in the middle of a Shakespearean drama workshop in Year 7. English at Wetherby is celebrated in all its glory as the most transferable discipline within the school curriculum. The study of English at Wetherby Prep aims to foster a love of reading, writing and performing literature. Studying English develops children’s abilities to listen, speak, read and write for a wide range of purposes, using language to learn and communicate ideas, views and feelings. We encourage the boys to talk with confidence and clarity, and we teach them how to listen and respond to others with courtesy. 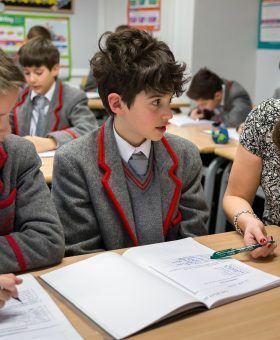 Through English at Wetherby we enable the boys to express themselves creatively and imaginatively, as they become enthusiastic and critical readers of stories, poetry and drama, as well as nonfiction and media texts. Here at Wetherby we also want to provide boys with knowledge about language and give them the opportunities to play with language in imaginative ways. We unfailingly promote the benefits of a wide ranging vocabulary – for facilitating effective communication and for enriching self-expression. Children gain an understanding of how language works by looking at its patterns, structures and origins. At Wetherby we aim to equip all pupils with a solid, coherent knowledge of syntax, grammar and punctuation using relevant and meaningful methods and resources. Each year group explores a variety of genres and texts with a strong emphasis on in-depth classroom discussion, critical analysis and considered evaluation. As children are natural inquisitors, we aim to foster in the boys an ability to approach texts with an enquiring mind; to be able to analyse the purpose, layout and language of texts of all genres. The boys are encouraged to use their knowledge, skills and understanding in speaking, reading and writing across a range of different situations. Achieving these objectives will ensure boys acquire the skills necessary to pass both the 11+ ISEB pre-test and the Common Entrance Examination. We aim to give the boys a solid foundation for their Senior School entry and beyond to GCSE and A Level. 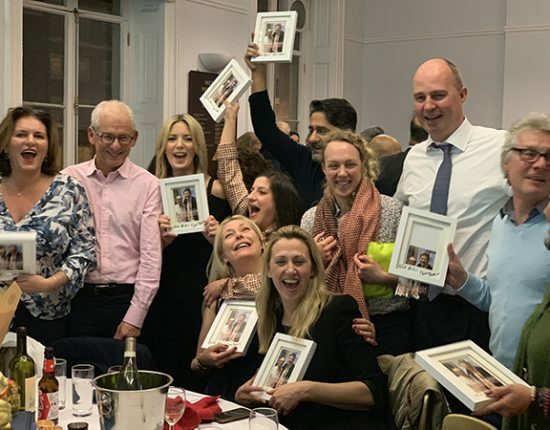 A cross-curricular approach to literacy within the school is promoted, helping staff to incorporate good literacy links at the planning stage. 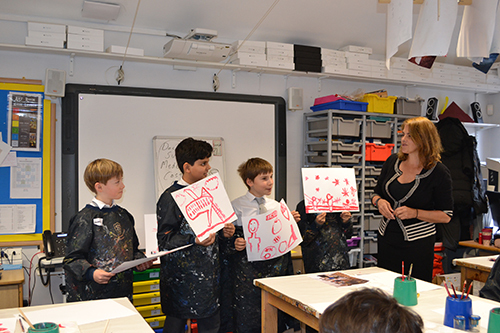 As a preparatory school, giving boys an insight into where their hard work will take them is important. We enjoy building links with Senior Schools, and a glimpse into a future in English is provided with visiting speakers from prospective schools. The boys are encouraged each day to be confident speakers and communicators. With this in mind, we provide ample opportunity to celebrate English in more practical terms. 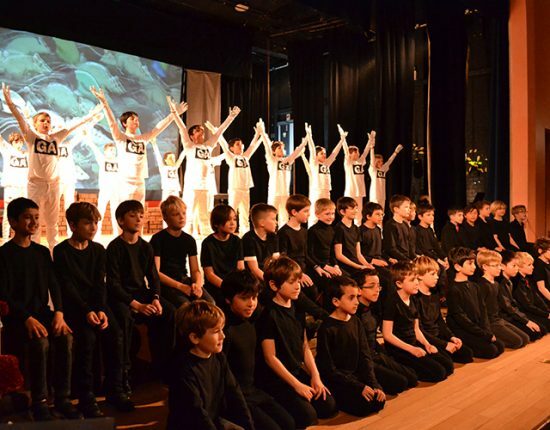 The boys enjoy theatre trips, author talks, poetry recitals, drama workshops and many competitions. 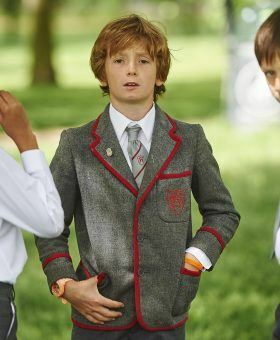 Extra-curricular opportunities abound with English at Wetherby: from budding authors’ Writing Club to becoming a mentor as a ‘Reading Buddy’; from our Wetherboys newspaper to creating match reports; or even channelling their inner thespian in the school play – we encourage all boys to pursue their passion for English every day.